Two boys, one dream. On an ordinary night, 13 year-old Hibito and his older brother Mutta stare into the sky and see something that changes their lives forever. It is actually a UFO, flying towards the Moon. 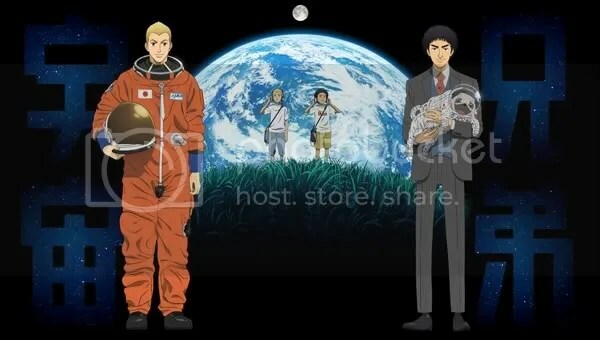 That night, Hibito and Mutta promise each other that one day they will surely be able to explore the space as astronauts. If you wondered, this story flawlessly combines Slice of Life with Sci-Fi – something we have original creator and script writer Chuuya Koyama to thank for. Not sure if he was expecting to have his manga animated, when creating it in 2007, but it’s nice to know that he’s looking forward to the anime and actively participating in its creation, even music-wise. “Even before I had asked Unicorn to write the theme song, I had already made it theme song for “Uchuu Kyodai”. I was touched” he once said, when being asked about the new series’ opening theme. Having in mind Koyama-san is in control, I believe that “Space Brothers” will rather fly then sink. Even though I haven’t read the entire manga yet, it sounds like a skilful and touching mix of reality bites, psychological drama and Sci-Fi. Be aware, though, that as far as I went into the story, the plot is much more focused on human relations and psychology than it is on Sc-Fi. Please, expect a lot of everyday drama, love issues, jokes and character struggles. I am telling you that because I wouldn’t like to see your faces tremble in surprise, when diving into the “Space Brothers” world. Here are some more details on what can you expect from the upcoming series that will air on April 1, 2012. Hibito Namba a.k.a. “Samurai Boy” (as they call him in the USA) is an exceptional astronaut with high confidence and undisputable talent that lead him to be chosen as the first Japanese man on the Moon. What he really wants is to be able to help his older brother become an astronaut himself. 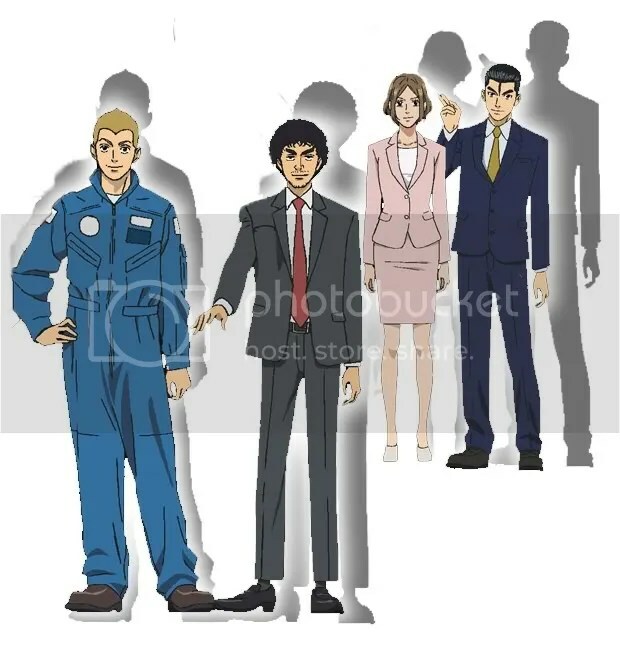 Mutta Namba is the least lucky older brother, who started a job in a car design company. He got himself fired because he got in a fight with his manager who insulted his younger brother. Having lost everything, Mutta is now back on his way to achieve his dream and become an astronaut. Serika Itou is a young and intelligent woman who strives to be an astronaut, since her early childhood. She’s also a member of the training program, together with Mutta and is somewhat the object of his affection. Kanji Makabe is Mutta’s friend and biggest rival in the academy. He’s always the one with the upbeat attitude and the best answers. In his own way, he’s also the one who helps Mutta on his way to become an astronaut and overcome his low confidence. Sharon is the boys’ aunt who has always been next to them, watching them grow. She’s their closest person, the one who has listened to their dreams and plans, while playing music with them in her living room. Images: Copyright 2001-2012. YOMIURI TELECASTING CORPORATION. ALL rights reserved. I ma happy you took notice at that! I am happy my trusty Scythe is back too. I love its work both as a help on this mission and as a head-severer.